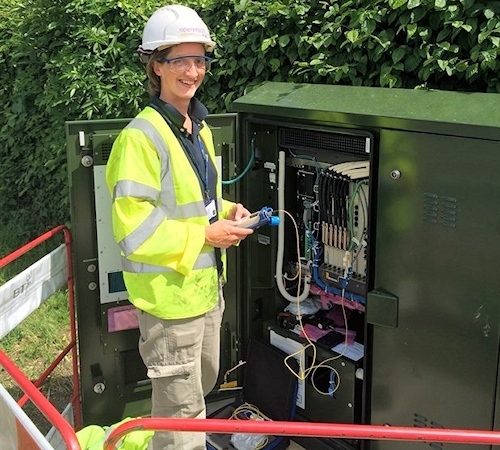 Openreach (BT) is set to launch a new trial next month that will add 12 new speed steps to their Dynamic Line Management (DLM) system for Next Gen Access (NGA) lines, which appears to be focused on UK Fibre-to-the-Cabinet (FTTC / VDSL2) connections. The aim is an increase in average speed without a reduction in stability. The public briefing on this trial doesn’t tell us much but our industry sources have been able to elaborate. We understand that the trial will tentatively start on 22nd April 2019 and run for 12 months. During this time Openreach will test the extra speed steps with around 5,000 lines on Huawei based street cabinets (no mention of ECI). All of the new speed steps appear to be in the FTTC performance ranges and related lines will also have their Caution Counters reset (technically a DLM profile reset) as they enter the trial in order to remove restrictions on their movement (i.e. helping to test the changes). For example, one of the new speed steps is at 37.5Mbps (sitting between 35Mbps and 40Mbps) and most of the new steps have been added between 50Mbps to 80Mbps. The change may seem quite small but there is clearly the prospect of it resulting in some consumers on “superfast broadband” capable FTTC lines being able to receive a small improvement in download speed. The trial itself is opt-in at ISP level and providers will have the ability to either choose which lines to include, or allow Openreach to pick them. Separately we note that Openreach has also launched a separate trial (here) to test the impact of retaining a line’s error protection during product moves (migrations), although we haven’t delved into that one yet as it’s of a lower interest. Basically the modern day equivalent of your granny darning a hole in your sock.All part of the superfarce to leach the copper assets. Hang on a moment there. I am not a copper supporter in any way shape or form. FTTC is clearly sunset technology. However, in the real world it takes a finite tine to roll out a new solution which everyone agrees is FTTP. So in the interregnum there has to be something reliable for the consumer to use. The more line faults etc that have to be dealt with the more engineering & financial resource is puled away from FTTP to copper. So this does make sense to me as a consumer. So I don’t get misrepresented I will finish with the comment I always make that I wish BT had started serious FTTP rollout 10 years ago and this thread would then be a footnote to history. We’ve told her this many times before. Dynamic Line Management are a farce and nightmare. DLM must be DISABLED FOR GOOD. Also there is no manual book of DLM policy on it. Would you prefer to have a long line constantly trying to sync at 120Mbps+ and constantly failing instead? Why should it constantly fail? A long line simply wouldn’t sync at 120 Mbps but at the rate at which it can reach the Target SNR. That’s how rate adaptive DSL has worked since long before DLM was invented. I think we are missing the point of DLM. The line may sync at 120mB/s but it may not be stable at that rate due to interference or other physical issues. DLM is there to Dynamically Manage the Line to the fastest stable speed it will support. The historical issue that you reference is that the Dynamic was a one way street to slower speed. The enhancement here is dynamic to both increases and decreases in line speed and if the interference goes away then it dynamically increases the line speed. Is that dynamic enough for you? Just get on with real fibre. I think people will care more about a jump from 35Mbps to anything from 100Mbps to 1000Mbps than a tiny increase to 37.5Mbps. Also if they’re interested in raising the average speed they could introduce new line profiles above 80Mbps. We have a near perfect line to the office that syncs at 120Mbps. Don’t see why it shouldn’t be allowed to run at around 100Mbps. Doesn’t matter, it’ll help increase the average speed. DLM would only let lines stable enough to handle it run at that speed. Given the way line speeds have to be marketed now it makes almost no practical different if a tiny number of lines get a lift over 80. For years the German incumbment (Deutsche Telekom) has been running vectored VDSL2 17a at ~109 Mbps gross sync at some 500 meters for the average line diameter . And 265 Mbps gross for 35b profile at like 300m. Upstream about 42 Mbps gross for both. So it’s not clear why this shouldn’t be possible in the UK as well. Well, allowing 109 Mbps 17a is only a software change. 265 Mbps 35b is only some new linecards which can be installed in 5 minutes and can serve 17a and ADSL2+ customers as well because they are backwards-compatible. Unlike G.fast with extra pods neither is a huge investment. You need new linecards over time anyways as more and more customers choose FTTC based products exceeding the current number of DSL ports of the DSLAM. Only problem would be ECI which Deutsche Telekom already kicked out for 17a vectoring. They were reaching 10+ years in service. There’s a clear pattern here where all new FTTC enhancements are being trialled & targetted on Huawei cabinets only, the ECI estate is being completely overlooked for pretty much everything. Is that a sign that the ECI cabinet areas will see no further improvement/enhancement for FTTC? ECI has always been the poor relation on the network. Afaik they don’t replace ECI – they have a Gfast pod that’s H you can add to a ECI Cab as the H has more line cards. OR like most big biz don’t like to have a sole supplier so they have always kept both even when one has been much better than another. OpenReach stopped installing ECI DSLAMs in Autumn 2016. Any ECI cabinets that show as having gone live since then were likely installed before 2017 but had issues with something like the power supply. There’s zero chance of OpenReach installing new ECI cabinets. @John I thought that was the case as well but this is a new FTTC cabinet on a PCP that until January this year didn’t have VDSL this isn’t infill and it was part of a recent phase of FTTC rollout. Seems a bit odd, I’ve seen ECI cabinets still being used to add additional capacity in areas where ECI cabinets were originally installed. Correction to my last comment – it’s PCP30 on ESLVB (Livingston Bridge) that’s an ECI cabinet that went live in January this year. Google street view shows the ECI DSLAM for PCP 30 on ESLVB (Livingston Bridge) was already in place in June 2015. It can be seen from Murieston E Road looking over the bridge to the alley running behind Bankton Grove. As i said previously Openreach stopped installing ECI DSLAM’s in Autumn 2016. Any that show as going live since then were likely already in place. I have similar on my exchange. PCP 30 (ESDAL) shows on codelook as having gone live in January 2017 under Phase 18b. It was actually installed under Phase 10a in 2013 but poweer was not installed until May 2016. We all know the history but as the majority of us will not see a whiff of FTTP for many years it is encouraging that they are still looking at it. The effective improvements may be very small but given the numbers it is welcome and it really isn’t diverting any of the OR FTTP efforts. This appears to be to be simply new DLM banding levels. Unless your line is already banded/capped by DLM I can’t see how this will help anyone. On ECI cabinet here in Leicestershire that was funded by Superfast Leicestershire, now Openreach have added a second VDSL cabinet which is Huawei next to it (they did a few around here like that during the same week), although the original one we are on was never shown at full capacity as far as I know, but must have been getting close. So on an ECI cab with a brand spanking new Huawei one next to it that may or may not have anyone connected currently. So of course this means we get nothing trialled or updated on an ECI cabinet. Luckily on 80/20 with no interleaving so not missing G.INP or lower SNR profiles, but many around here will be missing out on some stability and extra speed. I believe that’s also incorrect. They stopped installing individual ECI cabinets in early 2016. Then for some months they only installed ECI cabinets as 2nd cabinets, to increase capacity on full existing ECI cabinets. They have installed Huawei cabinets to add capacity to full ECI cabinets since at least September 2016. They have not planned any new ECI cabinets since then, both as new provisions and to add capacity to existing ECI cabinets. My ECI (PCP4 ESDAL) was 1 of the 1st in the country to get a Huawei as a 2nd cabinet. Openreach seldom use vectoring and not at all on the ECI estate so not an issue. There are plenty of areas where 2 DSLAMs serve the same copper lines. 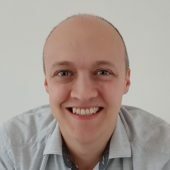 No node level vectoring. Yes 2 DSLAMs at the same point. OpenReach has thousands of PCP’s with 2 DSLAM’s and no vectoring. Vectoring is only used on a very small number of public funded (BDUK) Huawei DSLAM’s. The vast majority of DSLAM’s don’t have Vectoring. The ECI DSLAM I was connected to (M41) doesn’t even do system level vectoring. Rumour has it that Deutsche Telekom will be involved a lot more with Openreach. 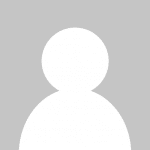 – Possible take over or investment from. Kinda Ironic that the cabinets use Huawei hardware when our government is blocking Huawei based 3g/4g/5g hardware. Are Huawei really a threat to our security or should we say Apple?